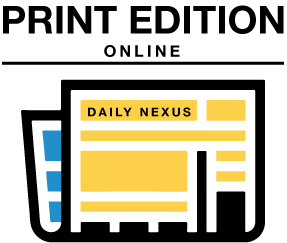 At the end of last quarter, the editorial staff of the Daily Nexus packed their bags and headed to San Francisco for the Associated Collegiate Press’s Midwinter National College Journalism Convention. From Thursday to Sunday, we spent hours on end going session to session absorbing as much as we could to make our news content even better for our readers. We also questioned where the Tanner family was because, you know … San Francisco. While it was great to learn more about the best practices in our field, we here at On The Menu decided to include another perspective in our experience at the convention — you guessed it: the food. Whenever we weren’t in the hotel taking scrutinous notes on the information provided to us, we were out in the city, exploring every taste it has to offer. Oddly enough, this trip didn’t start out as delicious as you would think. Those of us who left a little bit later found ourselves heading up the 101 with hunger pangs. We searched the sides of the freeway, desperately trying to find something that would satisfy our cravings. A fluorescent gleam stung our eyes, nearly throwing us off the freeway, so we followed it to find a Jack in the Box. There is nothing to be proud about hotboxing Jack in the Box in an empty parking lot at one in the morning. Our burgers looked nothing like the pictures, falling into pieces with each bite. Soggy, tasteless, it was a tragedy to say the least. We quickly finished our meal, aired out the car and continued our trek north. Full and regretful a few hours later, the last Nexites arrived at the Financial District of San Francisco with the scent of Jack saturating our clothes. The convention began the next morning bright and early with a breakfast of pastries and coffee provided to participants. Sticking to his traditional way of being, Collin woke up a bit too late and ended up missing out on the plethora of food that was downstairs. He got to indulge in a small pastry and coffee, but he ended up being very hungry for the next few hours until lunch. By the time the first half of the convention was completed that day, we made our way across the street to San Francisco’s iconic Ferry Building. Bustling with restaurants, this building is a foodie’s dream — similar to the Packing House in Anaheim. We walked into the building and breathed in the tantalizing scents of sharp cheese, cured meats and steaming buns. To say the least, On The Menu had a field day. We settled on El Porteño, an empanada shop, and everyone followed suit because, you know — we know good food at On The Menu. These were incredibly pricy empanadas relative to what you can find at your grandma’s house, though they were probably much more complex. Sticking to her vegetarian diet, Marisa ordered a five-cheese empanada and a mushroom empanada stuffed with breadcrumbs and cheese. Collin watched Marisa eat as he waited for his empanadas; she looked like she was really vibing on it, as each bite brought with it sounds of joy and visions of melty cheese hanging out of the bread pocket. Within a few minutes, the cashier handed Collin his lamb empanada, which everyone watched him cry over. Each bite was a symphony of lamby goodness. It was a bit tough to separate the meat with each bite, but the flaky crust and balance of spices greatly compensated. The convention day ended as soon as it started up again, which meant one thing for On The Menu: It was time to eat again. The Nexus crew went down the elevator to find Super Duper, a burger shop located across from the hotel. We ordered burgers and fries, which seems simple enough, but we were not expecting the roller coaster of flavor we were about to embark on. The burgers were a bit greasy but completely worth it. The sharpness of the cheddar cheese complimented the bite of the lettuce and tomatoes with the savory beef patty. Our fries were pretty standard, but we were given a free serving of garlic fries that certainly changed Collin’s life forever. Cheesy, garlicky and fried — we had certainly found love in a hopeful place. After a long night of studying notes from the convention (wink wink), Collin ended up in nearby Noe Valley for brunch at Savor. In line with its name, this place is definitely something worth savoring. Collin ordered the Rio Grande scramble with chicken, mushrooms, sun-dried tomatoes, spinach and goat cheese. As if that wasn’t enough, Savor’s chefs were generous enough to include a side of potatoes and toast. An avid fan of goat cheese, Collin sobbed into his plate with every creamy bite (he did a lot of crying this weekend, to say the least). The sun-dried tomatoes provided an intense bite that balanced the neutrality of the eggs. The only thing that kept him from getting more was the price. At $20 a plate, this was enough to keep him satisfied for the day. That night, Collin and Marisa decided to walk to Fisherman’s Wharf for their final dinner in San Francisco, but they were immediately stopped by a mild, incoming storm. As such, they took BART to the Mission District to find something that would satisfy their hunger for delicious food in order to keep dry; call it a mission to the Mission. By the time they got off of BART, the sky had opened up to release a full rage. Collin and Marisa ran to the first restaurant they could find, which happened to be a hole-in-the-wall Indian eatery, very matter-of-factly called Curry and Naan. Free chai tea with extra large portions contributed to the best decision On The Menu felt they made the entire trip. They sat and chatted about their delicious naan and spicy meals while they waited out the storm. They left once they thought it stopped, but they had no idea what would come next. The On The Menu duo ran about five blocks in the pouring rain without an umbrella. For perspective, Collin’s denim jacket grew two sizes larger from absorbing all of the water. The convention was cut short the next day to allow people to check out of the hotel early. This gave On The Menu the chance to go with other Nexites to explore Chinatown and its culinary scene. They settled on an ambiguous-looking restaurant (that no one seemed to catch the name of) selling steamed buns and embarked on some very questionable items. They even dared to try chicken feet, which aside from the chewy texture and the fact that they were feet, had a pleasing taste. All in all, this trip to San Francisco was greatly satisfying. 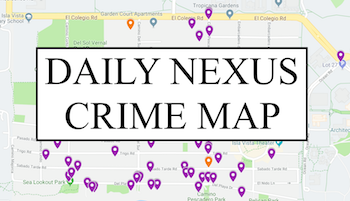 Not only will the Daily Nexus be able to provide you with even better content for years to come, but On The Menu also gained new perspective on food outside of the standard Southern California landscape. We hope to return soon to continue to explore the city on our own time, but in the meantime we will continue to cover everything we eat down here in sunny SoCal.